These creative kits are designed to give children the idea of letting there imagination grow. Adventure awaits those who dare to design their very own dragon. Brilliant craft ideas that will keep little hands busy and minds inspired for hours. Are you ready for an adventure in creating your own dragon, these kits are designed to encourage children to be creative, offers communicational skills all you do is supply the big ideas and your imagination. 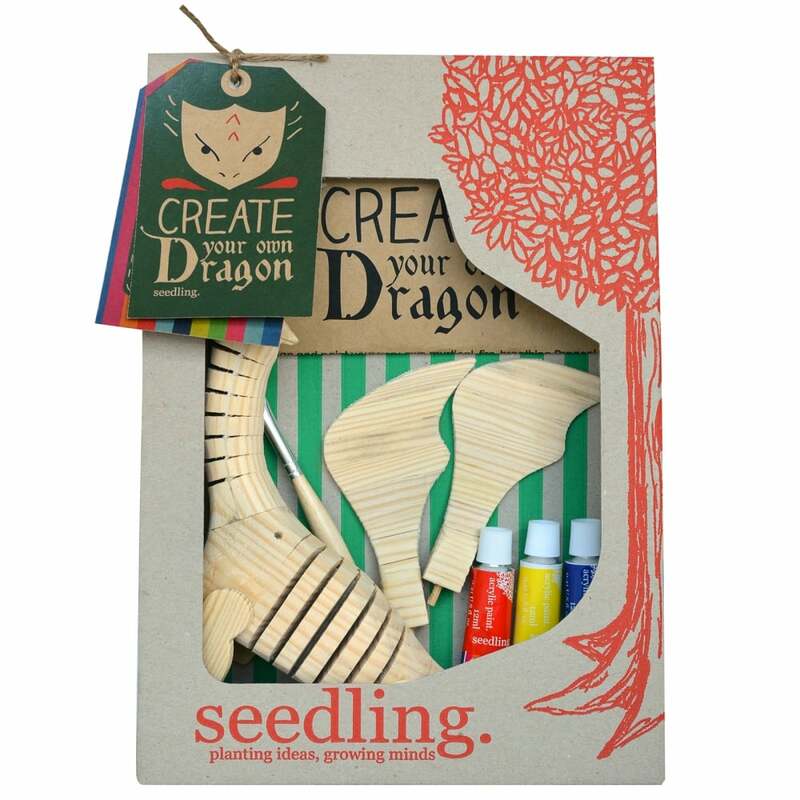 The kit contains: wooden dragon, 3 acrylic paints and paint brush.